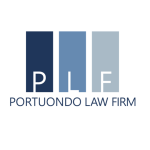 What if the insurance company denies my claim or offers me less than I think I am... - Portuondo Law Firm, P.A. Unfortunately this is a very common scenario. The options that you have available to you strongly depend on the terms of your policy, however the common options that people have are to enter into a mediation with their insurance company or they can enter into the appraisal process. In appraisal you basically hire an appraiser, the insurance company also hires one, and they meet at the property and try to agree on a number. The other option that you have is to file a lawsuit. If your claim is outright denied you can file a lawsuit. The most important thing that you should do in either of these scenarios is to contact an experienced property damage attorney who can help you navigate these options.